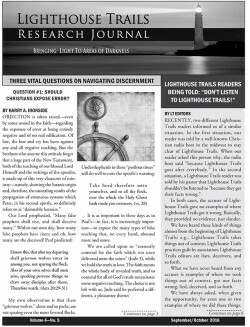 THIS PAGE IS TO RENEW YOUR LIGHTHOUSE TRAILS RESEARCH JOURNAL U.S.A. SUBSCRIPTION. USA RENEWAL SUBSCRIPTION - 1 YEAR There is 1 product.